Please take a minute to join the website...it's free to you and completely non-commercial (no ads!). Have a look at your Profile to verify the contact information. You are invited to add information about yourself and even photos, and you may customize your privacy settings. You can use the "Contact Us" feature to let us know how to find 'missing' classmates. 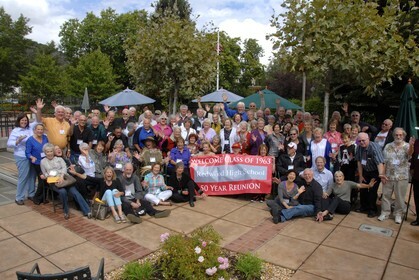 Click on the "Redwood 50th Reunion" tab for more information. To insure that you receive e-mails from us and classmates using the website to communicate with you, please set your spam filter to accept messages from <noreply@classcreator.net>.